If your day looks anything like mine, eighty percent of it consists of sitting down in front of your desk, slouched over a screen with a strained neck, whizzing out emails in the office, sneaking a couple cheat chocs from my drawer every hour on the hour. I like to think I stay fit and healthy all year round but as quickly as this year’s long hot British summer drifted away, so too has any conviction to exercise. So when I was offered the opportunity to experience a , I jumped at the chance to escape the city slump and kickstart any dormant desire I had to work out again. 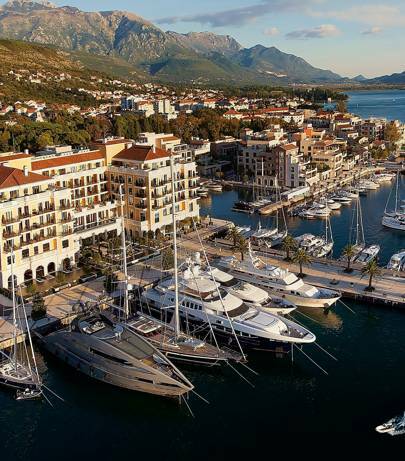 After a surprisingly short flight from London with the always friendly and affordable , I found myself at the grand, Venetian-style Regent Hotel, which sits elegantly at the heart of Porto Montenegro - the glittering marina and glamorous superyacht homeport – set to be next year’s ‘influencer’ hotspot (you read it here first). Biofit is a workout that incorporates both stretching and strength training in a ‘nature’-inspired indoor or outdoor gym. 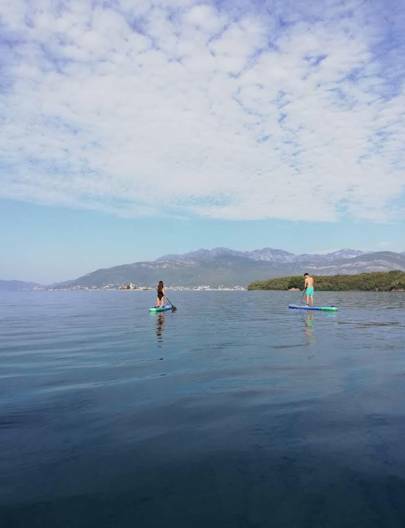 Along with a hike overlooking the spectacular views of UNESCO Heritage site Kotor bay, cycling through old stone villages, paddle boarding and scandi-style contrast bathing, the Biofit session offered at the The Regent Porto Montenegro Hotel forms part of the hotel’s newly launched , which is all about tapping into the innate health benefits of the natural environment. It’s an incredible way to discover the spectacular views and natural wonder of the small and still relatively unknown country of Montenegro while still keeping fit on your holiday. 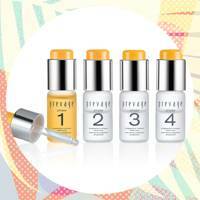 The BioFit approach is holistic. It’s focus is centered less on strengthening the body for vanity’s sake and more on how the body physically interacts with the world on a day-to-day basis in order to achieve a “real world fitness”. Through a series of unusual, intricate stretches and repeated movements, the first part of the workout focuses on mobility and flexibility, working muscles that one usually neglects (who knew neck sit-ups were a thing? ), while the second part of the workout focuses on cardio and strength training in a circuit-style workout. Using bodyweight movements, it targets lean muscle mass and creates a more balanced, well-rounded fitness. 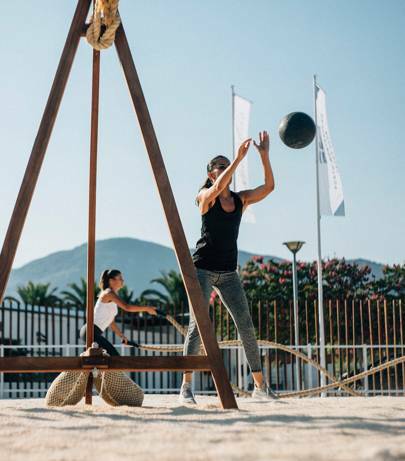 The gym at The Regent Porto Montenegro Hotel is situated on the sands of the hotel’s beach yacht club, right on the mineral-rich, trickling water of the Adriatic sea which flows into Montenegro’s Boka Bay: home to ancient stone villages and millionaire megayachts. The Regent Porto’s BioFit gym merges seamlessly with its natural environment. Built mainly of wood, the gym is a balanced construction of ropes and weights - all sustainably made with natural materials and beautifully designed to complement our surroundings. Kettlebells are painted in the same blue and white yacht paint as the boats anchored in the bay and the battle ropes are knotted by the crews working on the yachts. The structure of the gym mimics its goal: to ground our physicality in the natural environment. It’s a hot and bright day with a cool breeze coming off the bay when we meet up with our personal trainer, Matt Morley, BioFit’s passionate founder. Fun beach party music plays over the speakers - a siren’s call for me to run for the nearest beach bar for a large icy mojito, but the matts were already laid out on the sand so I thought I’d channel my party energy into the workout and let the vision of the cocktail pull me through. I squint up to see the small ancient buildings perched in the mountains that surround the bay as Matt explains to us that we should listen to what our bodies need and he would construct the session around it. I need a cheeseburger and fries, but since that’s not on offer right now I’ll settle for an hour long outdoor fitness session. Matt begins by taking us through a series of stretches and basic movements – all of them are very familiar: like rolling my ankle around the way you did when warming up for a netball match in school, or stretching my neck from side to side. At first, the movements seem basic, but slowly they become more intricate and involved, you repeat them to the point where you realise the muscles are far weaker than you thought, or hold them for long enough that you find yourself moving more deeply into the movement. The level of focus slowly but surely creates a strong connection between your mind and body and, with the help of the natural environment all around you, becomes meditative. It was unlike any workout I’d done before, with the closest comparison I could draw being yoga or pilates. The second part of the workout snaps us out of any zen energy. Like a call back to the ancient Olympics, we’re soon thrown into a series of animal crawling, jumping, rope-lifting, throwing medicine balls and carrying weights on our shoulders. I slowly began to remember why humans had retreated indoors to the safety of air-conditioned halls to exercise, but by the end of the workout, I realise that the natural energy of the sea, the sand and the humid salty air leaves me feeling a lot less tense and physically invigorated than any controlled indoor gym session ever could, and way more tanned. After a shower and lunch back at the hotel, we were speeding off on a boat trip along the coastline to old Kotor town and over the course of the next two days, we continued to explore this incredibly beautiful little country in ways that totally invigorated and energised us. I’ve returned feeling that this is the only way to truly relax on a holiday: by immersing yourself in activities that allow you to fully enjoy the natural environment. 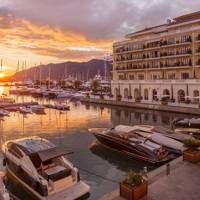 With that said, the level of luxury that the Hotel Regent Porto Montenegro offered to us is really the only way to go if you do plan on going on an active retreat such as this one. In the meantime, Biofit has launched in London with an ‘organic’ indoor gym featuring forest walls, aromatherapy, healing plants and acoustic music and you can find me there until I find my way back to the well-kept secret paradise that is Montenegro. 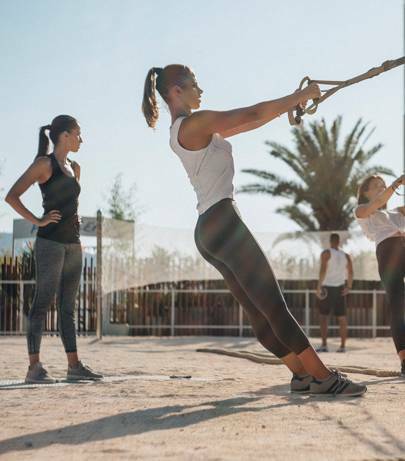 - A morning of fitness sessions with a BioFit coach at the Porto Montenegro Beach Yacht Club – set against the stunning backdrop of Boka Bay – followed by an afternoon of contrast bathing at Regent’s Spa using the hammam, sauna and ice shower. 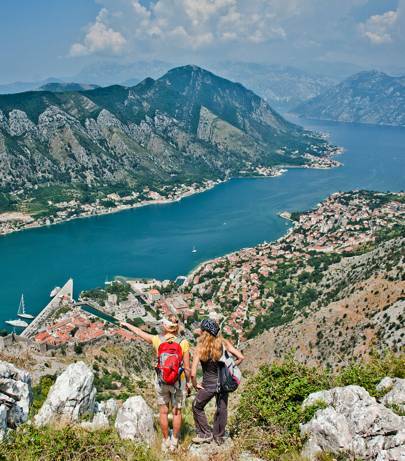 - A morning of hiking from Krstac to Kotor offering spectacular views of the bay and a healthy picnic lunch at a scenic location. This idyllic day is then concluded with a cycling route via old stone villages dotted through Boka Bay along the sea front. - Deliciously healthy daily breakfasts at the glamorous Murano restaurant with inspiring views over the mountains and the glittering marina. starts from *€399 per person, for three-nights based on double occupancy and includes activities listed inclusive of a healthy picnic basket, return transfers to hiking and cycling locations, accommodation in a Deluxe Room, access to the Regent Spa, daily breakfast and complimentary Wi-Fi. For bookings: www.regenthotels.com/regent-portomontenegro.